This is the story of a young boy from the rough side of Tunbridge Wells (yes, there is one). A boy born in black and white (as his parents couldn't afford colour) who would survive the trauma of terrifying 1960s children's TV puppet shows and public information films, a family break up and being a gay teenager through the Glam Rock 1970s to go to London and become part of the new wave of youth culture in Punk and Disco. 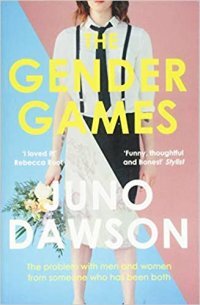 It's the story of 70s and 80s youth subculture told through pioneering gay theatre productions, the world's first ever gay radio pirate radio broadcasts and then finally becoming the first openly gay TV presenter on the seminal rock television show, The Tube. In 1951, a new type of publication appeared on newsstands—the physique magazine produced by and for gay men. For many men growing up in the 1950s and 1960s, these magazines and their images and illustrations of nearly naked men, as well as articles, letters from readers, and advertisements, served as an initiation into gay culture. The publishers behind them were part of a wider world of “physique entrepreneurs”: men as well as women who ran photography studios, mail-order catalogs, pen-pal services, book clubs, and niche advertising for gay audiences. Such businesses have often been seen as peripheral to the gay political movement. In this book, David K. Johnson shows how gay commerce was not a byproduct but rather an important catalyst for the gay rights movement. In this next episode of the Action! Series, we catch up with LAPD SWAT Lieutenant William Paul Sharpe; ‘Billy’. Billy’s powerful presence in the series looms large as the forty-nine year old law enforcer once more becomes the center of the story.Billy and his superstar husband, Alexander Mark Richfield, a young man twenty years the lieutenant’s junior, have once again come to a crossroads in their relationship after Alex’s infidelity while filming his last movie. The two men come to an agreement, one they can both accept.Meanwhile, former cop turned CEO-Steve Miller’s new husband Tadzio Andresen, continues his transition from a gorgeous male runway model, to a woman, with the full support of his husband.Mark Antonious Richfield is in heaven with his newborn son, ‘Zak’ and has embraced fatherhood with outstretched arms. His young stud husband, Stan Charles Richfield, gets a movie offer he is struggling to refuse. Add to this mix of characters you love and hate, is Joe Scarbino. The hot SWAT cop turned model, has one thing on his mind. Mark. Find out what happens next in this continuing saga about the boys from LA. The number one bestselling memoir of one of New Labour’s three founding architects, now with a revealing new chapter updating this paperback edition. Peter Mandelson is one of the most influential politicians of modern times. The Third Man is his story – of a life played out in the backroom and then on the front line of the Labour Party during its unprecedented three terms in government. Much of the book is devoted to the defining political relationships of Peter Mandelson’s life – with Tony Blair and Gordon Brown. Charting what he terms the ‘soap-opera’ years of the Labour government, his book continues to ruffle feathers with an updated preface bringing the story up to the tempestuous present. Doing anything 'like a woman' used to be an insult. Now, as the women in this book show, it means being brave, speaking out, and taking risks, changing the world one step at a time. Here, campaigner and journalist Caroline Criado-Perez introduces us to a host of pioneers, including a female fighter pilot in Afghanistan; a Chilean revolutionary; the Russian punks who rocked against Putin; and the Iranian journalist who uncovered her hair. 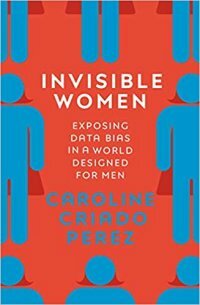 Caroline Criado Perez is a writer, broadcaster and award-winning feminist campaigner. Her most notable campaigns have included co-founding The Women's Room, getting a woman on Bank of England banknotes, forcing Twitter to revise its procedures for dealing with abuse and successfully campaigning for a statue of suffragist Millicent Fawcett to be erected in Parliament Square. She was the 2013 recipient of the Liberty Human Rights Campaigner of the Year Award, and was awarded an OBE in the Queen's Birthday Honours 2015. 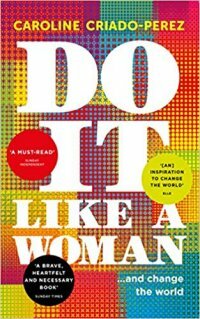 Her first book, Do it Like a Woman, was published in 2015. She lives in London.